How do I ship a firearm in for service? Should your firearm or any component of your firearm require service, please fill out the Firearm Service Request form. After submitting the form, you will receive instructions on how to properly ship your firearm/components to our Service Center located in Eagle Pass, TX. I live in Canada, how do I obtain service on my firearm? Make absolutely certain your firearm is unloaded. Do not send ammunition with your firearm. Remove all accessories (scopes, slings, etc). Ship your firearm in a suitable container, packaging it securely to prevent parts from shifting and/or damage during shipping. Include a note with a clear description of the service you wish us to perform, your complete return shipping address (no P.O. Boxes, please), your daytime telephone number and your e-mail address (if available). It is advisable to place your correspondence inside the shipping container when shipping. O.F. Mossberg introduced the new 715P, 22LR Semi-Auto Pistol at the 2014 SHOT Show in Las Vegas. This model will use the same 25-round magazine as our 715T, .22LR Semi-Auto Rifles. According to Canadian law, all 25-round 715T rifle magazines are now prohibited in Canada. To our distributors, dealers and consumers in Canada: O.F. 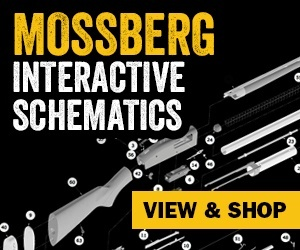 Mossberg will replace any 25-round magazines you currently have with a 10-round magazines. Please contact Grech Outdoors for information on replacing your 715T 25-round magazine. There's something wrong with my gun. What should I do? If it's new out of the box, see your dealer, as it may be something that can easily be taken care of. Contact our service department to discuss any warranty questions or concerns, and if factory service is necessary, we will quickly provide it at our facility. For parts and service, our service department can be reached at: service@mossberg.com or (800) 363-3555. View Instructions on how to ship a gun to us. 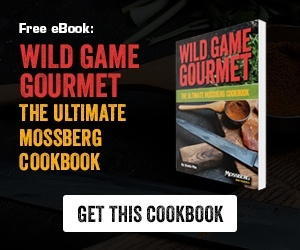 Can I order directly from Mossberg? Firearms - No, you must buy through a local dealer; however we do sell accessories such as extra barrels, choke tubes, stocks and Mossberg branded gear. You may purchase those via our online Store, or through our service department at (800) 363-3555. We gladly accept AMEX, VISA, MC and Discover. Some local dealer/sporting goods stores also stock selected Mossberg accessories. My 930/935 has suddenly stopped cycling, what do I do? The dual gas-vent system in the Mossberg 930/935 vents the excess gases, which aids in lowering recoil. This system, including gas piston rings, require routine maintenance to keep it running efficiently. To ensure you are cleaning it correctly, we invite you to view this Video by World Champion shooter Jerry Miculek as it demonstrates how to completely disassemble and maintain the Mossberg 930/935 platform. Where can I get information on old guns and parts? Which ammo does Mossberg recommend? The one that performs best in your barrel. Each barrel shoots each ammo type and brand a little differently than the next barrel. This is true of slug groups and shot patterns. All of our choke tubes are marked with the type of pattern that each tube should produce, but consider the information a guide. Shot patterns from identically marked tubes may vary by load and ammo brand. For better shooting scores, know your equipment and its capabilities. Range test your shotgun before heading to the field. Can I shoot steel shot through all barrels? Yes, and with sabots or rifled slugs, the more "open" the choke tube, the better the accuracy ("Improved Cylinder" recommended.) The "full" or "modified" choke tubes are preferred for buckshot loads. Slugs, buckshot and steel shot loads are not recommended for use with an extra full "turkey tube" installed, due to the tube's tight constriction. Do not fire any load without a choke tube installed, doing so will damage the internal choke tube threads. Can I fire slugs through my 935™ or 835® vent rib, Accu-Mag® choke tube barrel? No, 935™ and 835® field barrels (those with a ventilated rib) are "overbored," and the extra inside diameter may cause the projectile to "wobble" producing unreliable accuracy. A projectile may wedge inside the barrel causing an obstruction. Obstructions of any kind can cause damage to the firearm resulting in damage to the barrel and/or personal injury to you or those around you. Dedicated fully rifled slug barrels are available for the 935™ and 835® models. Other 935™ and 835® Accu-Mag® choke tube notes: Buckshot and steel-shot loads are not recommended for use with an extra full turkey tube installed. What mounts do I use on my lever action 464? What mounts do I use on my shotgun? Use our Picatinny rail, or Weaver 417M. NOTE: The Weaver 417M will be a traditional scope mount, for longer scopes. Our picatinny rail is best for traditional scopes and red dot optic. How do I remove the shot-limiting plug that comes in my 835/500/505/535 shotgun? To remove this dowel on 835 models: first remove the barrel; point the shotgun downward and shake it back and forth lightly until the dowel falls out. To remove the dowel on 500 and 535 Models: First remove the barrel. Point the shotgun downward and shake it back and forth lightly until the dowel protrudes from the takedown screw hole in the end of the mag tube. A rubber "O" ring on the dowel prevents it from falling out accidentally. Grasp the dowel and pull it completely out. Sometimes when I shoot my pump, the action comes back. Why is that? Pump actions will do that, usually if fired from a rest and/or if the forend is not held firmly by the shooter. The shooter should exercise safe firearms handling and control the forearm to reduce unnecessary wear and recoil on the action. You can view and download all current and recent model Owner's Manuals Online. If you require a hard copy, please call us at (800) 363-3555 and one will be mailed to you. Yes, we can, free of charge. Complete this Catalog Request Form and one will be mailed to you. You may also view our catalog online at here.